small businesses throughout the region. Our services include layout, design, copywriting, logo and image setup, search engine optimization, domain name and web host setup, link checking, and on-going web site maintenance and updating. 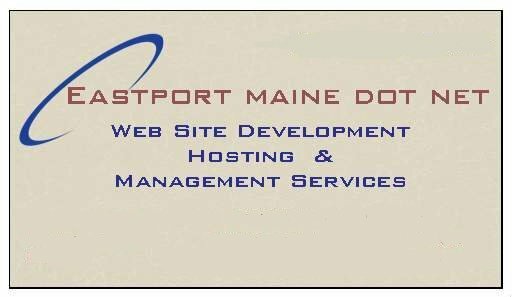 At Eastport Maine Dot Net we listen carefully to our customers to understand clearly what they expect from their web sites, and then work to satisfy those expectations.